To be productive and never miss any event, meeting or apartments, you should have EzyCal Calendar app. 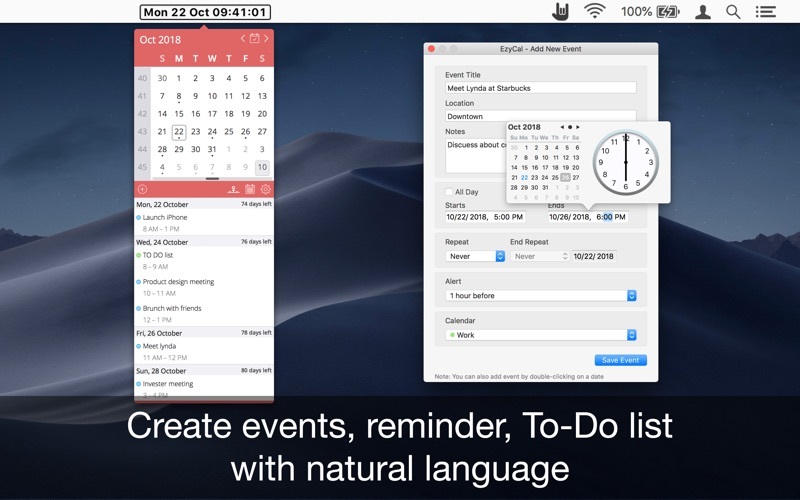 It is a Gregorian calendar with natural language event and reminder creation, beautiful calendar views, and reminders app you’ll ever use. Add events, reminders, todo lists. Countdown to keep you on track. Sync with all available calendars on your PC. Get a list of events in a single display for next 7 days. 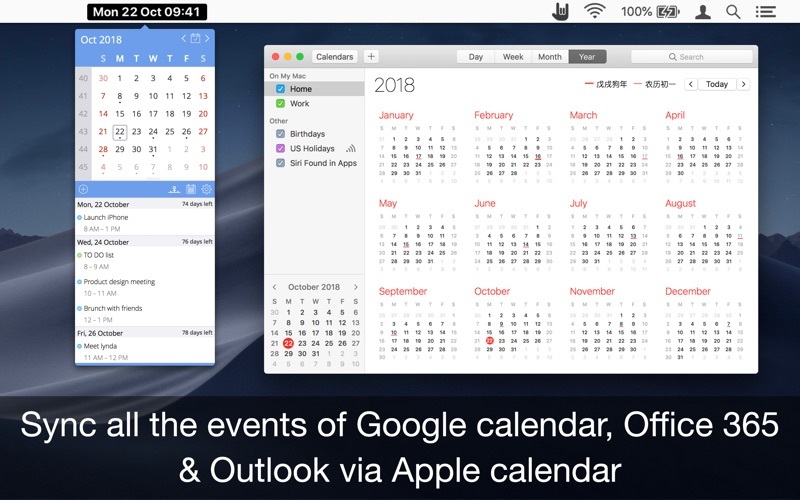 Simple User interface to interact with the calendar. 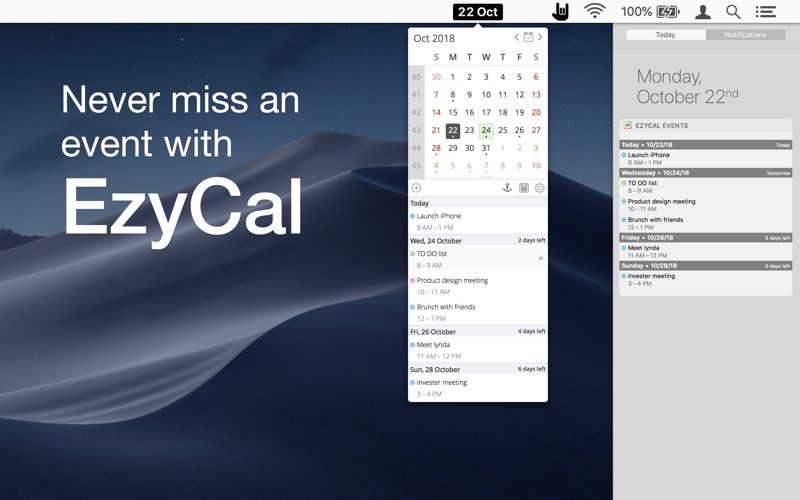 EzyCal works with Macbook Air, Macbook Pro, iMac, MacBook, MacPro, Mac Mini. 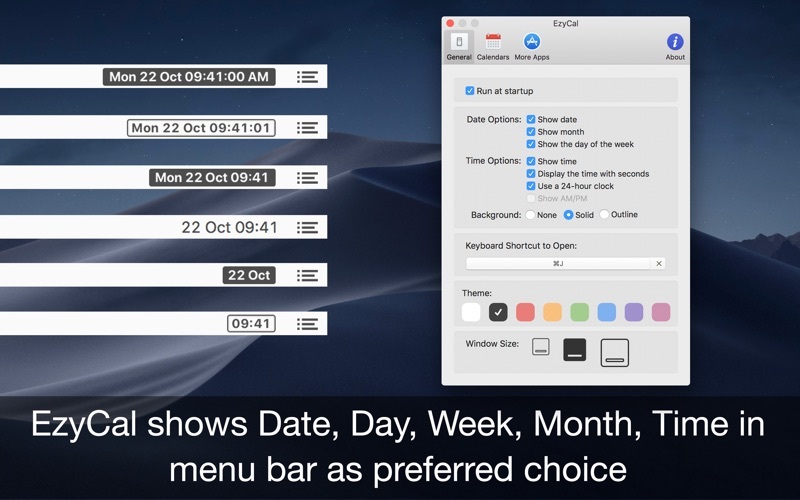 ▸ Status Bar Icon: Displays Month, Day, Week, time, customizing it the requirements. ▸ Keyboard Shortcut: Record shortcut as a need to open the Calendar in the status bar. ▸ Theme: Select theme color as you like. 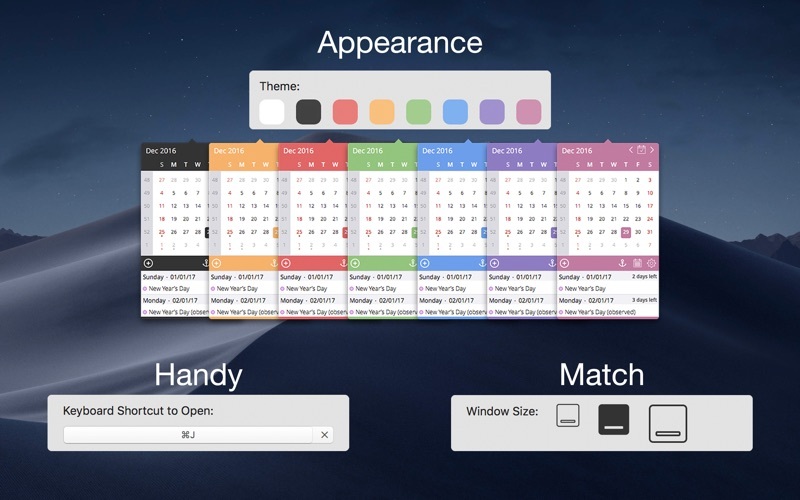 ▸ Window Size: Three different sizes of calendar window to select, as per various screen size. – EzyCal works with different languages as per system. We fixed bugs and made improvements to enhance your experience with the application.